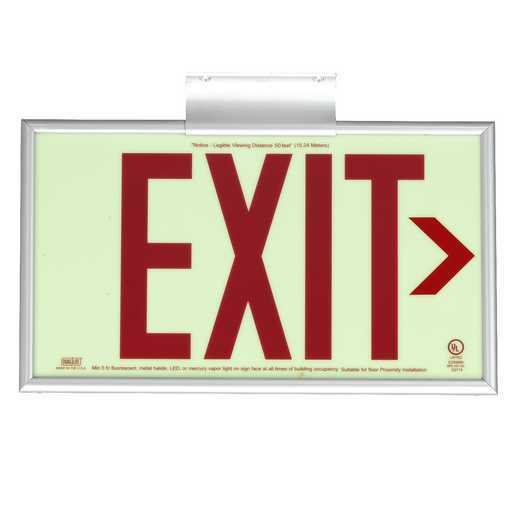 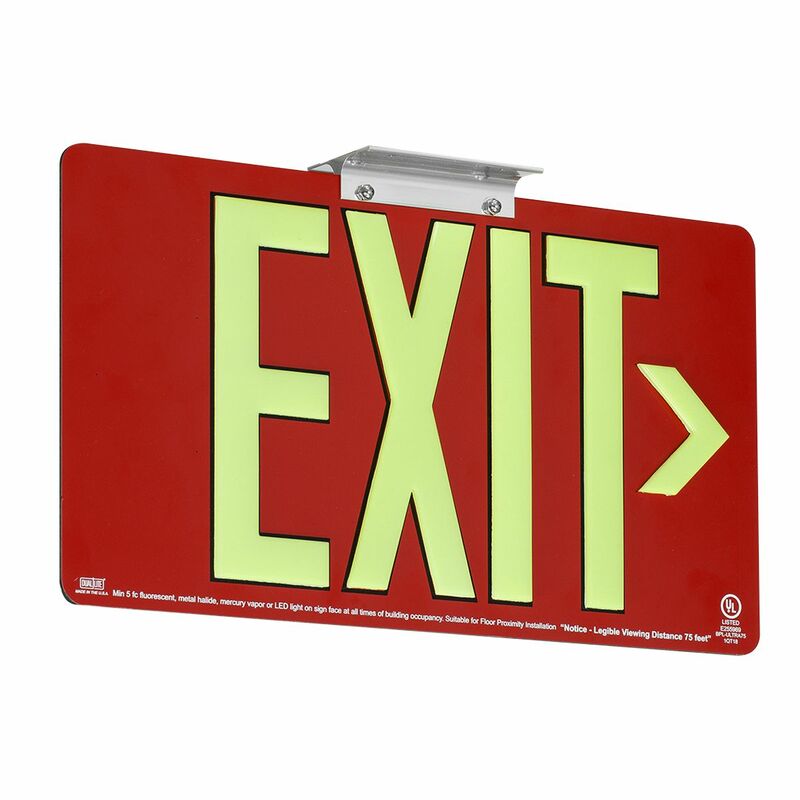 The DPL Series of photoluminescent exit signage offers exit compliance with UL listed legible viewing distances of 50', 75' and 100'. 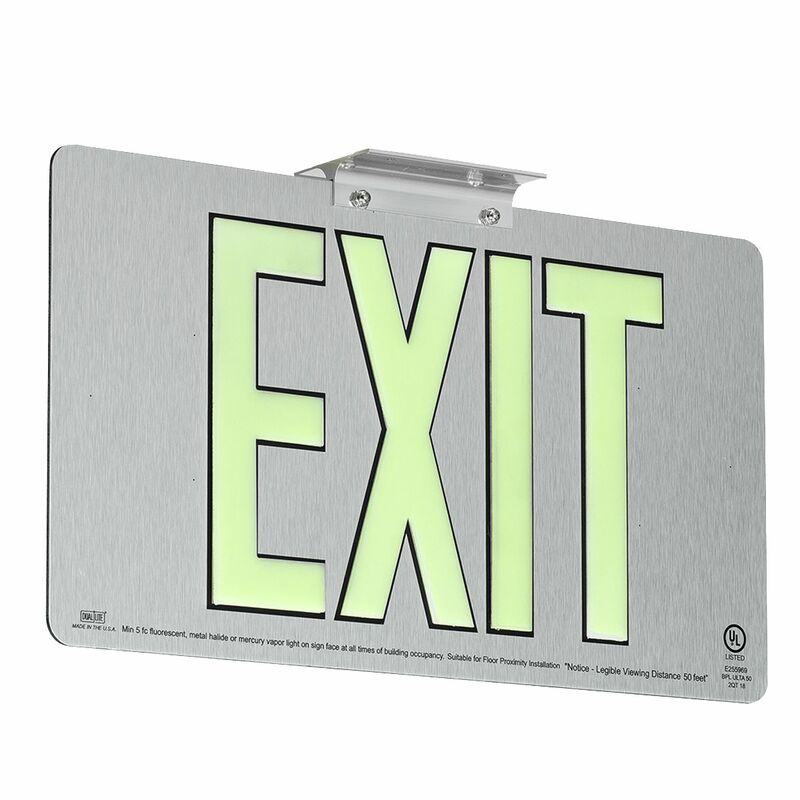 The DPL photoluminescent exit signs do not require AC or electrical power. 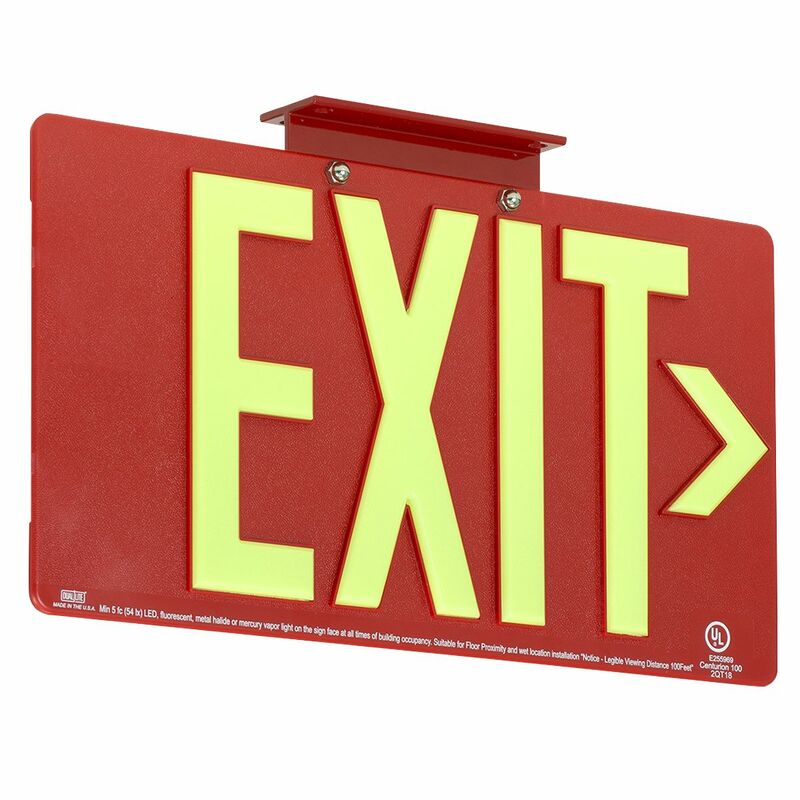 ALl signs have a 25 year lifecycle.